Our supplied products are used in homes, private offices, stores, malls, government offices etc. We supply our range of technological products at the most competitive rates. These are widely appreciated for their easy installations,efficient functional life and low maintenance cost. Moreover we also offer these products as per the clients specifications. 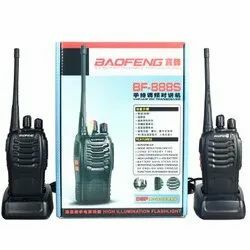 Baofeng 888S is the best walkie talkie suitable for short distance communication. It is simple, economical and convenient. 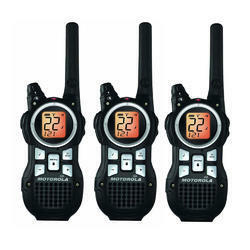 It is the best walkie talkie for your home talking, you can make the communication with your family/friend more easier, no matter it is for garden/home work, party preparing, or upstairs downstairs daily communication, a pair of mini walkie talkie will sure be your great helper ! 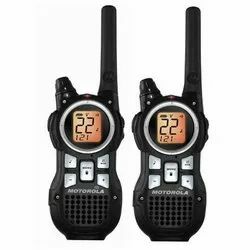 Product Description: Our company has earned accolades in the industry for offering premium quality Vertel Walkie Talkie. 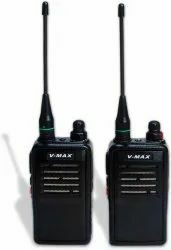 Equipped with precise features of automatic voice annunciation, larger channel capacity, busy channel lock out and an efficient low battery alert these products are widely demanded in the industry. Assured to be in compliance with the industry standards by the reputed vendors offering us these products these deliver excellent performance and functionality. Customers can avail these products from us at reasonable prices. Sleep mode function for battery save. 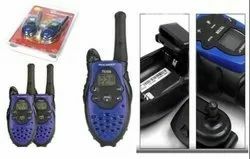 Note : You can easy buy license of this walkie talkie, actually this walkie talkie will not be worked without licence.